Are you a fair-weather golfer, or will you play through a hurricane? For many golfers, weather conditions do not deter them from playing 18. If you’re going to be out in inclement conditions, you’re going to need some quality protection. I’d wager that many golfers aren’t aware that there are products beyond the brands you know, and some of them outperform offerings from golf’s biggest names. Some brands utilize GORE-TEX, while others leverage a lighter more flexible material. In some cases, you have to give up flexibility to stay dry; or sacrifice 100% weatherproofing to be able to swing with ease. This is true for the majority of offerings. 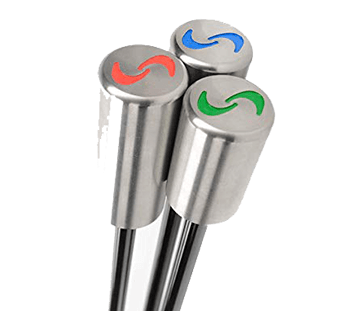 However, there are companies that have produced products that offer everything a golfer wants when playing in extreme weather condition to help shoot their best round. Unless you avoid the course entirely when the weather looks dicey, the rain suit is an essential piece of equipment. The current market includes rain suits of all shapes, sizes, and colors. From Gore-Tex to Poncho, staying dry is a must. If you’re in need of a sturdy rain suit – and that’s most of us – this guide is for you. Fit: Golfers come in all shapes and sizes, and fit preferences differ from region to region. Some companies like Cross cater for golfers who like the tailored fit while other companies like Nike have products for a baggier fit. Whatever your personal preference is, it is something you should consider before purchasing a rain suit. Pockets: Pockets might not seem to be a big deal for many golfers as long as they work, but this is not the case from what we have found during testing. Pockets can sometimes be tight and some can causes scratches when the pocket is too small, or the zippers are too tight. 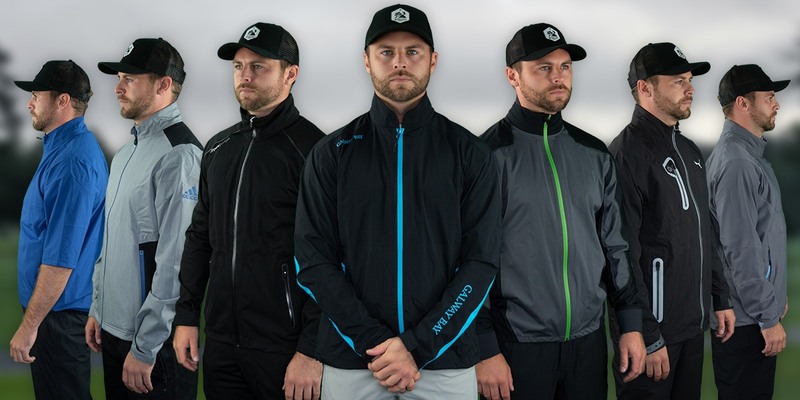 Some jackets Zero Restriction and Sun Mountain offer pocket in pocket designs for those that like to keep tees and ball markers in their first layer rather than the second layer. Breathability: When swinging and walking, you generate a lot of heat, but where does that heat go? In some cases, the heat is trapped, and you can become too hot. In other cases, the heat is able to escape. There is a happy medium where you have vents for the heat to be released but also keeps you warm. Comfort: When swinging, you don’t want to be restricted, and that can be a problem in some designs. Others remain fitted, yet stretchy, creating a second skin feel while keeping you dry and warm. This is another important feature that must be considered – if you cannot swing normally, then you are only hindering yourself. Over the course of the test, we used the same protocol for every rain suit in the test. To limit bias, we paid careful attention to the phrasing of the questions as well as the timing of when particular questions were asked. Waterproofing (35 points) – Does even the slightest amount of water seep through the suit or does it bead off? Does the tapering around the wrists, ankles, and neck keep water out of the suit? Since the goal of a rain suit is to keep out water, we deemed waterproofing to be the most important metric. Suits that didn’t perform well in this category had flaws in design and material. Some top finishers were made of impervious Gore-Tex while others were made of similar alternative materials. Breathability (20 points) – Does the heat created between the suit and the body have any means of escaping? Can the heat escape through vent-like technology? Does the suit breath through the fabric itself? The worst suits in terms of breathability felt like literal black trash bags. Some top finishers featured material that repels water on the outside while attracting it on the inside. This means that not only does the suit keep you dry, but it also removes your sweat from your skin to keep you cool. According to industry experts, breathability is far more important than most realize. Comfort (25 points) -Score is given based on whether there are any flaws in the suit’s design or construction. Questioning for this category was done while the tester was hitting, as comfort is especially important during a shot. Comfort while walking was also considered. While playing in the rain, your suit cannot hurt your ability to play. Top performers felt as though nothing was there. Fit (20 points) – How well do the pants taper around the ankle, legs, arms, and midsection? How much adjustability is provided in the waist? Can the jacket’s midsection be tapered? Can the neck opening be tightened? This is important because rain gear is worn over other clothes it’s important to have adjustability. One must be able to ensure that the suit does not impede the swing, and a poorly fitting suit does just that. Final grades were awarded based on total scores. Best Overall is our highest overall scoring the best rain suit, and awards are awarded to the top five suits. Also, more specific Best in Class recognitions are awarded to the rain gear in certain categories (like best value) that pushes the industry envelope. For the second year in a row, Cross comes out on top (tie). Based in Europe, Cross-Sportswear produced a rain suit that stands out from the rest. The jacket and pants provide great comfort which is tailored more to the European slim fit but allows you to swing with ease due to the stretchy material. Both the top and pants are designed for the water to run off and away from the golfer’s shoes or hands, keeping the player as dry as possible. If you are looking for that rain suit to keep you dry but comfortable at the same time, this rain suit is one to consider. Galway Bay is a newcomer to MyGolfSpy testing this year but they’ve quickly made an impact in the rain gear testing. Galway Bay’s stretchy material allows you to swing without restriction. Galway Bay offers two different kinds of pants for various weather situations. One is lined and is not, which allows you to wear them like regular pants. There’s no need to wear anything underneath and still keep you warm on those cold days. When having consisting rain on a spot the pants change color but no water penetrates through. 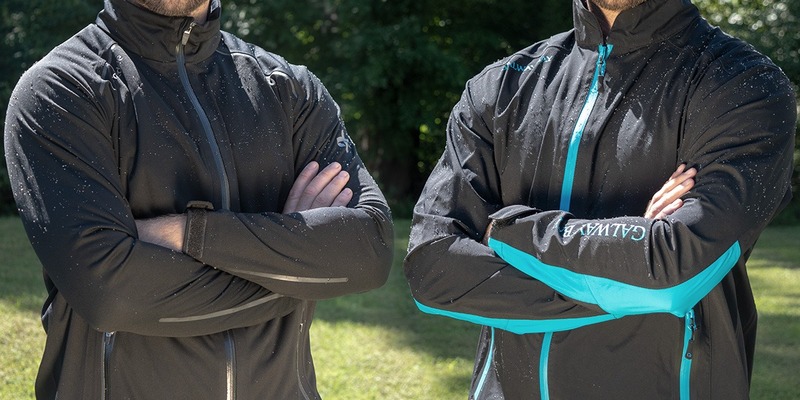 The whole line of rain gear is very stylish combined with their lightweight material has earned “Best Rain Gear of 2018”. Sun Mountain has breezed into the top 5 once again with the Elite. The lightweight material combined with 37.5 technology really delivers in those rainy conditions. Although both top and bottom are light, they keep you warm and are breathable preventing you from overheating. Pockets are accessible and the pockets on pants have a regular pocket and an internal pocket allowing access your inner pants if needed. When raining the top holds the water and causes the color to become darker but still prevents water from seeping through. Galvin Green have proven their stature within Europe for many years and are starting to become popular in the United States. The Axel is not only stylish, but keeps you dry and warm when playing in those extreme conditions. Rain just runs off the Gortex material with ease until it gets to the wrist and neck area. These two areas have different material and hold the water which in turn seeps down your back and hands slightly. The unique rear zipper design of the pants makes putting them on and off a breeze. 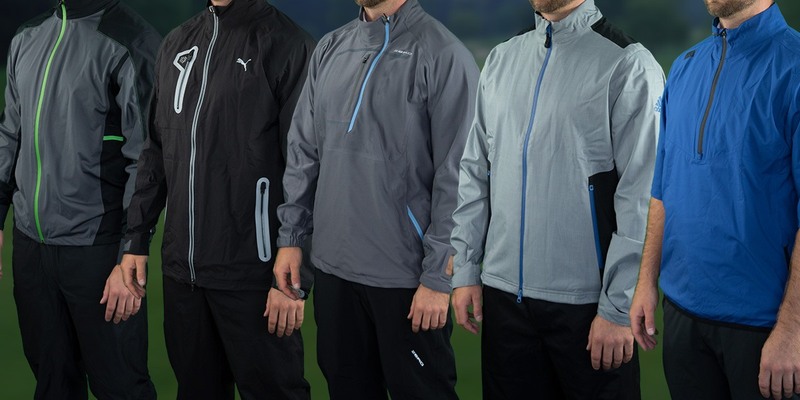 Overall the whole suit is durable and comfortable to keep you dry and warm on the golf course. Zero restriction has produced a jacket that feels like an everyday sweater. It prevents water from penetrating fully, keeping the player moderately dry when playing. Having said that, a concentrating direction of water in a single spot does result in water getting through, which means you can get a little wet. 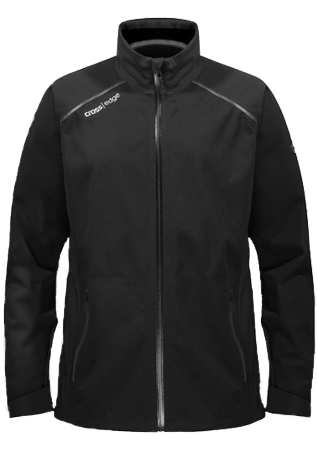 The wind-stopping jacket is also designed in keeping you warm in windy conditions. The neckline is a new design and can irritate the golfer when walking and swinging due to the positioning of the zipper. 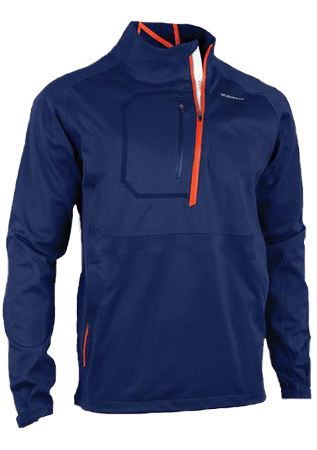 Under Armour – If you want a light Gore-Tex rain suit that keeps you dry then Under Armour is for you. The product can be a little restricting when playing because of its narrow/medium fit, but it is down to personal preference. 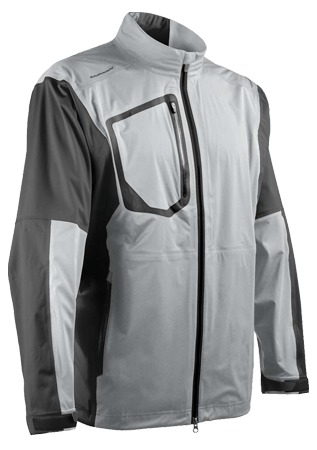 Ping – Ping has a rain suit that is not the typical head to toe suit. The bottoms are full length and work great in the rain as the water runs off with ease. The top is 3/4 sleeved and allows you to swing with ease because of how light and flexible it is. Obviously, your arms get wet when it rains, but some prefer the absence of sleeves around the wrists. 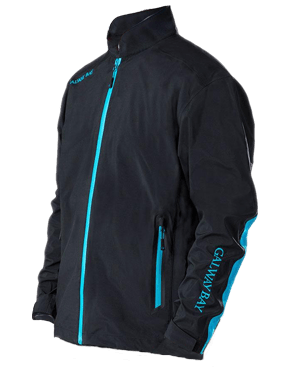 I love my Galway Bay zip short sleeve jacket with the rain sleeves. I also, have the lined pants and like them as well. The only issue I have with the pants is they seem to ride low in the crotch area. I’m constantly having to pull them up so they are comfortable. Not sure if it’s a size issue or a material cut issue. But feels like they are falling off even though the waist fits perfectly. If youre a 2x or 3x dont even think about UA Storm. I would suggest the research MGS did is not accurate in that regard. I’m a 3xt and I just lost 40 pounds and this jacket wouldnt fit a 5th grader. We’re all not built like milk toast Jordan Speith. Cutter and Buck, while expensive, is still the best bet for Big and Tall golf clothing. Anyone concerned about price tag on Cross Sportswear, green jacket version is on sale now for $160. Also, anybody got suggestions on waterproof accessories. What’s the best waterproof hat? I have been wearing Galway Bay for 6 years. They get better every year. Lighter, better looking and attention to detail. The price is much better than some of the bigger brand name but the quality is excellent with Galway Bay. I find it odd that the winners, excepting Galvin Green at number 4, have bad numbers for waterproofing? I swear by Galvin Green. Best in Waterproofing and Fit so this should be at top of the list – they are for me. Great looking gear although not cheap but will lasts you a decade and won’t look dated. I picked up the Galway Bay full set earlier this year based on a buddies raving reviews – I was reluctant at first, thinking a big brand has to have a better product, but man, I have been extremely happy with my decision and they have performed like a champ. I even used the lined pants one day to shovel the walkway during a late spring surprise snowstorm. Looking forward to see if additional Galway Bay styles enter the market. Glad to see they received the accolades deserved! We need Payne Stewart Pinehurst type jackets here. To hot for full arm jackets. We will be bringing out a half sleeve “Payne Stewart” style jacket next season. Haven’t decided whether to go full zip or pullover but it will have the stretch waterproof fabric and should be very comfortable. I have been gaming a 15 year old Sun Mountain Rain Jacket. It is great. Use ir for regular rainware as well. It is comfortable and keeps me really dry. It doesnt hVe thT raingear soynd when swinging your club. I li e in Seattle so plYing in light rain is a way of life here for those who play much golf. My jackwt makes playung in the rain so much easier thN befoe. 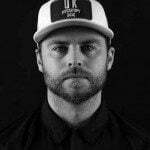 Good article once again. I wear footjoy as well and have been happy overall. Golf raingear is a tough call. When it rains it pours. Let’s face it, it can stink. Grips get wet. The dry joys eventually leak. This article was good though. Galvin Green makes good product no doubt. You pay for it though. Well done here as always. Why is it that golf rain jackets do not have hoods? Almost every other type of rain jackets has hoods. That Footjoy “Hydrolite” gear is like being locked in a sweat lodge! Does not breathe at all. I have an old goretex FJ model that still works great — probably 8 – 10 years old. 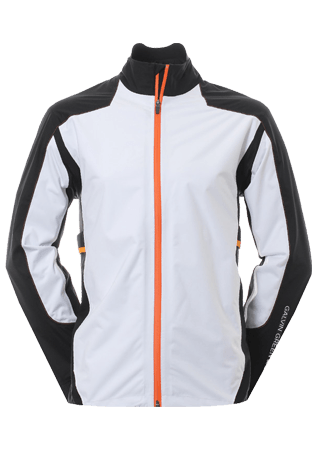 I have seen many happy golfers from both sides of the Atlantic wearing Kjus it would be top of my wishlist to replace my Gavin Greens. Their website says its the world’s finest sports clothing. Interesting that last years winner Proquip also bailed in participating. What is not surprising is how many who subscribe to goretex as being the best, most expensive etc can clearly see that it is waterproof but not very breathable. Goretex is more suitable for colder climates when raining- such as under 50-60 degrees. I saw the question regarding short sizes, but I am curious to know if any of the options tested have tall options – longer inseams and sleeves ? I think Galvin Green has length options? But would be nice to know if others offer a “short” model. Ok. I was able to answer my own question! Galway Bay offeres custom inseam length hemming for $12.00, from 27″-35″. Would you have a recommendation as to best rain gear for those playing in rain in warmer/muggier places that need both rain protection & best in class breath-ability. Galway Bay has two different types of pants for cold and warmer conditions. The jacket itself did a good job breathing through the hot and humid conditions here in Virginia. We believe that the jacket will do even better in a dry heat like that in California. Curious, has Foot-Joy abandoned outerwear? Surprised they were not part of the review. OEM’s have the option to participate in each and every test and they decided to opt out of this years Rain Gear Buyers Guide.